WE HAVE A WINNER – Open Kinect driver(s) released – Winner will use $3k for more hacking – PLUS an additional $2k goes to the EFF! « Adafruit Industries – Makers, hackers, artists, designers and engineers! We have verified that it works and have a screenshot from another member in the hacking community (thanks qdot!) who was also able to use the code. Congrats to Hector! He’s running all this on a Linux laptop (his code works with OpenGL) and doesn’t even have an Xbox! Hector has decided to invest this bounty into hacking tools and devices for a group of people he works with closely (e.g. iPhone Dev Team members, Wii hacker team Team Twiizers, and a few others). They don’t have much expendable income to buy tools and devices to hack, and sometimes this hobby can be a bit expensive, this will be a good investment that will allow them to hack more and newer devices. What’s next? 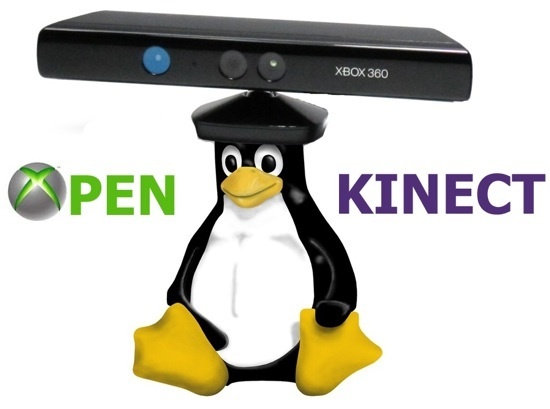 If you’d like to keep hacking there is a Google Group called “OpenKinect Google Group” – 100+ people and we’ve published our data dumps, our hello world motor code and now there is code/drivers from Hector (marcan). We know this subsidized / commodity hardware can now be used for robotics, art, science, education and more. For $150 it’s loaded with tons of great sensors and cameras – now it’s unlocked for creativity. 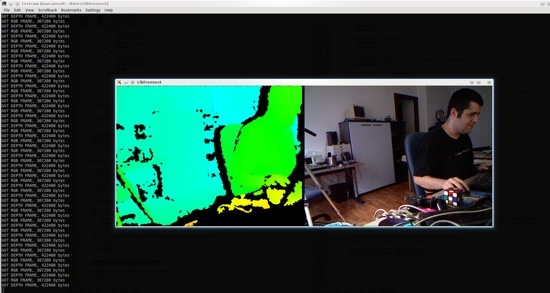 We expect to see a Chumby hacker board and/or BeagleBoard using a Kinect for it’s vision-system robot soon! Who knows FIRST robotics might use these for their next robotic competition. In addition to the $3k bounty we are ALSO going to donate $2,000 to the EFF (http://www.eff.org/). They defend our digital rights, our right to hack, reverse engineer and do things like this project. From the start of this effort Microsoft said they were going to “work closely with law enforcement and product safety groups to keep Kinect tamper-resistant” – if they did (or still plan to) the EFF would likely be our only hope (yours too). If you’d like to make sure we can all continue to hack, tinker and mod please consider donating to the EFF as well. Pretty quick! Now let’s see some projects using the kinect! Microsoft profited nearly 30 years ago from the consequences of reverse engineering of the IBM PC which opened up the PC market and allowed Microsoft to become a colossus. It would be hypocrisy for Microsoft to now gripe about reverse engineering which is not illegal as no copyright would have been breached. Kudos! Keep up the great work, you guys rock! This looks like a pretty amazing tool; the resolution is really quite good, considering the coast of the device, but the color-coded pixel-to-distance mapping is what gets me excited. The should be relatively easy to interface to. And now I’m going to go practice my Jedi power hand-wave. Exceptional work! Thank you for sharing. Would you like inform the the kind of the licence ? GPL, LGPL, PSD, MIT … ? Congrats, I just had a look at the source.. Genius for such a little time!!! Great work! Especially for Open Source projects! i love and appreciate this work, people dedicate so much time with no reward so people like me can enjoy tinkering a lot easier.